Booksellers Without Borders: Go Fourth and Read Great Books ! Go Fourth and Read Great Books ! Sorry to post so late but I just spent a wonderful day in nearby Goshen, NY at there annual, Great American Weekend to celebrate the Fourth of July holiday. It is a wonderful event full of crafts, antiques, and yummy goodies. The hot-dogs and baked good sold the Goshen United Methodist Church are simply the best I've ever had. If you're in our neck of the woods tomorrow, stop by. You won't be disappointed. Now I'm back at home with a stomach full of delicious goodies and fireworks are going off at the nearby racetrack. In the midst of all the festivity, it's important to stop and appreciate the true meaning of this holiday. July 4th is Independence Day. It's a day to remember the adoption of the Declaration of the Independence on July 4th, 1776 and celebrate the freedom and privilege that came with it. I polled my fellow bloggers to see what works of literature, other than the Declaration of Independence, celebrates American Patriotism to them. Jennifer P. and Jessica P. both agree on the summer reading classic, "Johnny Tremain." 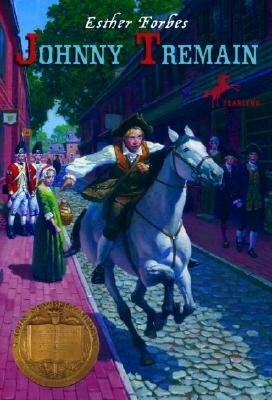 The children's novel follows fourteen year old Tremain, a newpaper delivery boy and messenger to the Sons of Liberty in the days leading up to the American Revolution. Meanwhile, Albert recommends "Johnny Got His Gun," by Dalton Trumbo which is the story of young American soldier's horrifying experiences in World War I.
Rachel suggested the John Steinbeck depression-era classic, "The Grapes of Wrath," and the "Felicity" stories by Valerie Tripp from the "American Girl" collection. The series follows young Felicity Merriman as she grows up in Williamsburg, VA during the years 1774-1776. Finally, I think anyone looking for a great historical, patriotic read should check out any one of David McCullough's works. 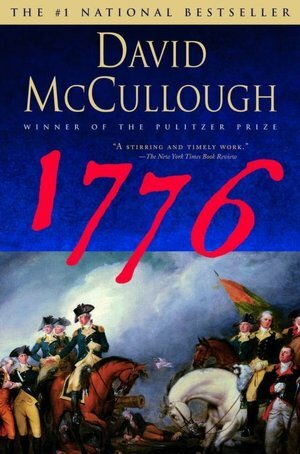 He won the Pulitzer Prize for "1776," is certainly a perfect read for the holiday. Now we'd like to hear from our readers. What book celebrates American Patriotism to you? Labels: Albert, group post, Jenn N., jennifer p., Jessica P.
RL Stine: Review and Book Give Away! How Does a Toilet Tank Work? Ray Bradbury, How'd You Do That?